So in school we have been cooking starches (pasta, potatoes, rice) for almost 2 weeks and while I am one of the world’s biggest carb fanatics, I am 10 lbs heavier and really, really full. I wanted a healthy dinner, but when I get home from 5 hours of cooking at school I realize that I have absolutely nothing in my fridge. 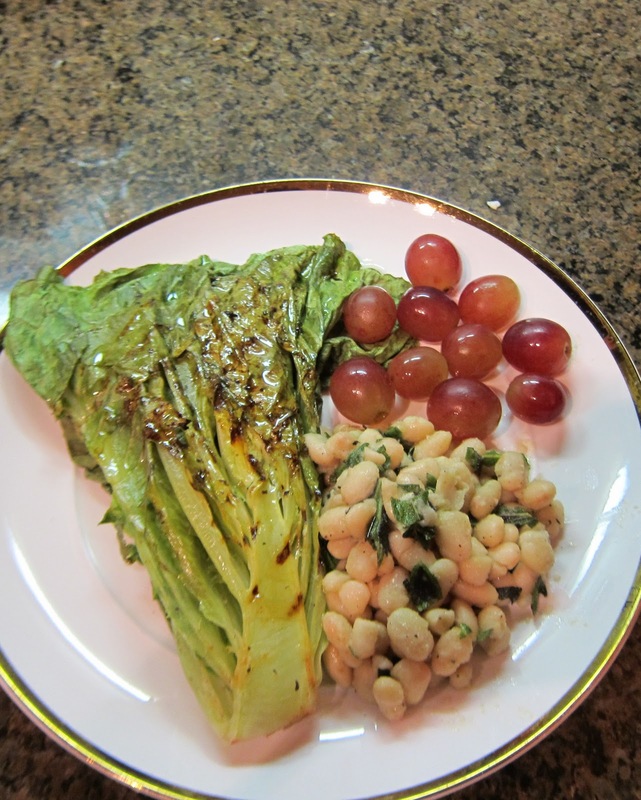 So this is what ensued: composed salad of grilled romaine, white beans with sage, and red grapes. I know, this sounds ridiculous and unimpressive, but its delicious, and hey, I never said my food was glamorous. Even master chef’s like myself have longs days and empty cabinets. as i was going i added salad dressing, i recommend italian but all i had was my roommates basil lime (thank you sheila). 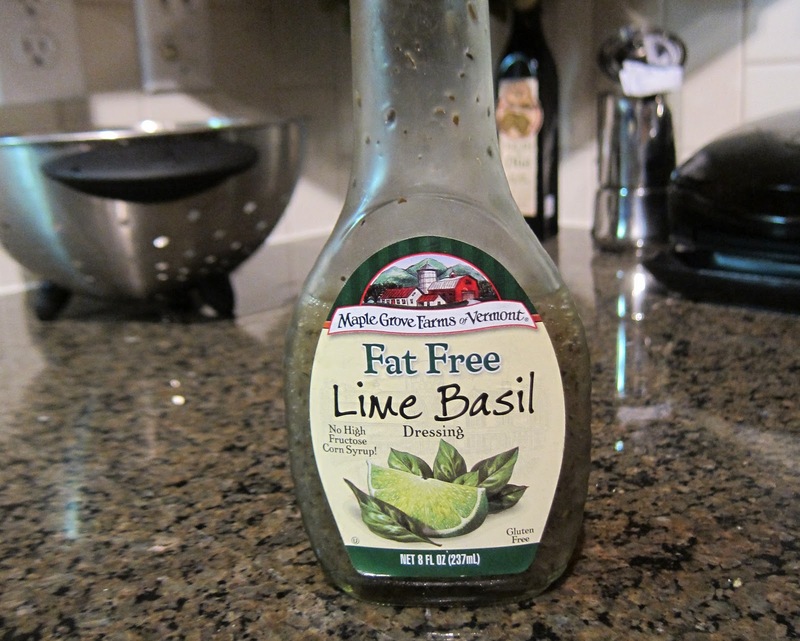 you only need 1/2 of a tablespoon. You will also need a grill pan. A hot grill pan. Put it on the stove on medium heat and forget about it for a few minutes. First things first, drain the canellini beans and rinse them (very well-that salty yucky brine they are canned in will do you no favors today). Set them aside. 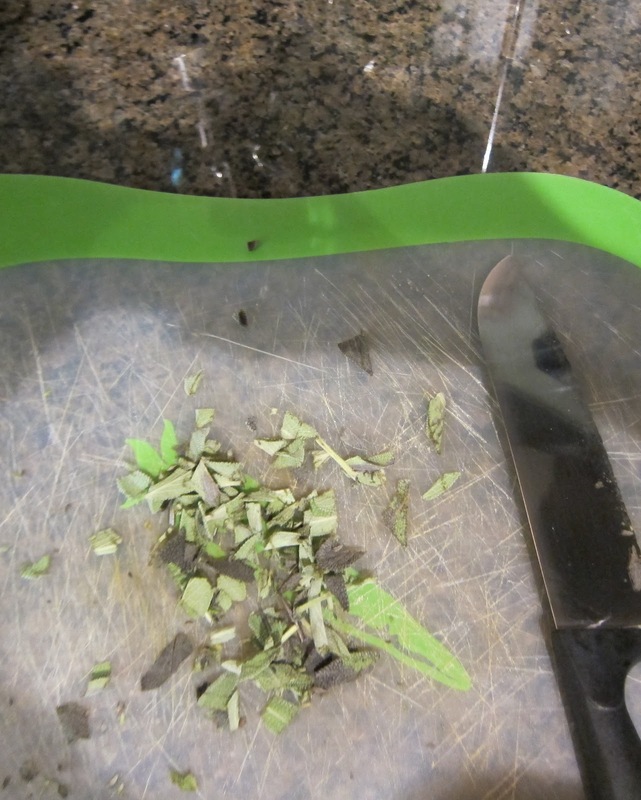 Cut your romaine heart in half length wise, leaving the bottom in tact as that will hold all of the leaves in place. 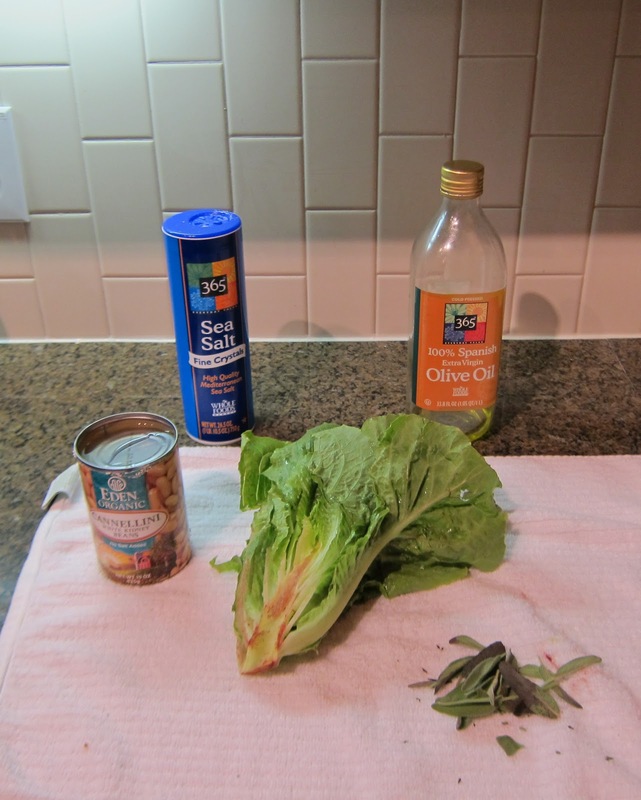 Making sure that its completely dry, brush (or pour and smear with your hand) on the italian (or any kind of) dressing. Now, lets discuss grilling lettuce. It sounds odd, I know. but if you are like me, eating a cold heap of vegetables for dinner after a long day just doesn’t cut it. Grilling a romaine heart is one of my favorite ways to make a dinner time salad seem heartier and more suitable for dinner. Just make sure that you have some cold companions for it on the plate, an entirely hot salad just sounds weird. 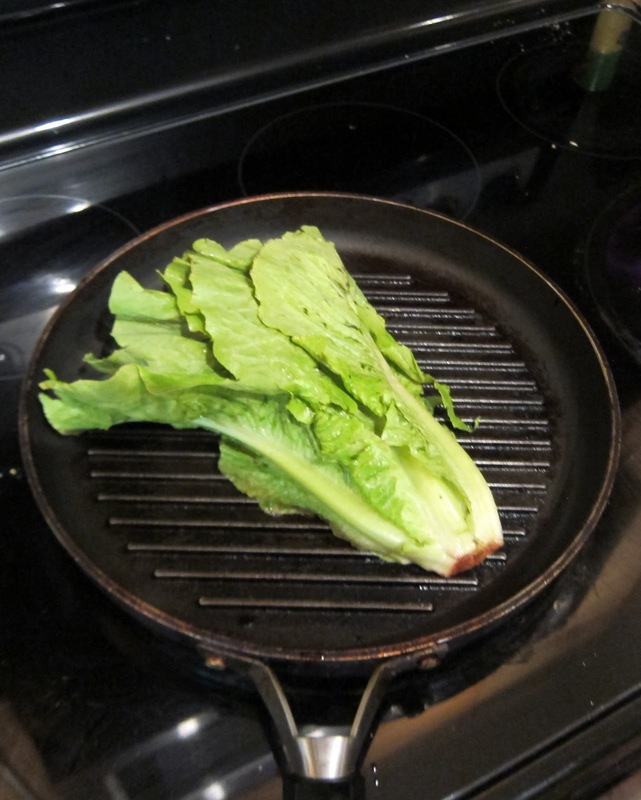 Okay, so once the dressing is on the face side of the romaine, place it face down onto the hot grill pan. You should hear a VERY loud sizzle-this is a culinary symphony. Let it go for about 7 minutes until really charred. 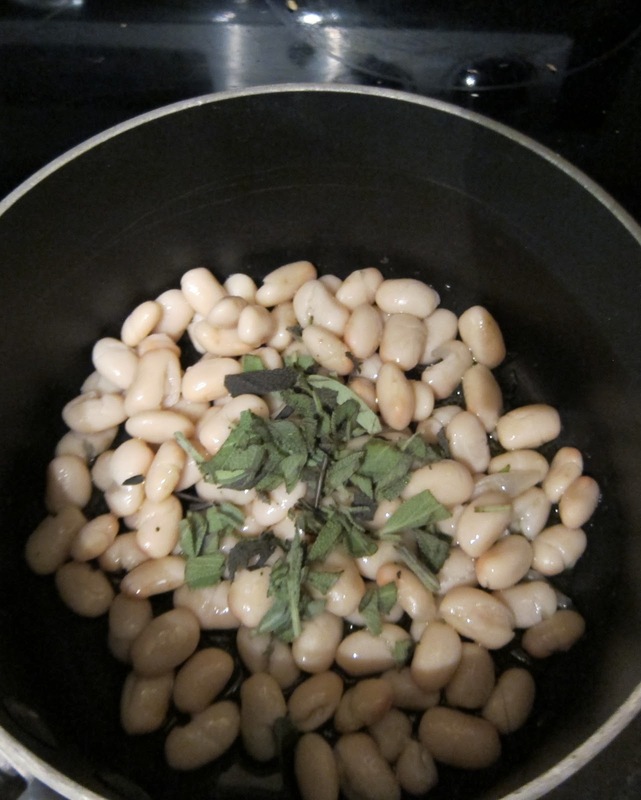 Add 1 T of olive oil, beans, and sage to a heated sauce pan. Stir and add some salt and ground pepper. Put the romaine on a plate, put the warm beans on the plate. Wash some grapes and put them on the plate too. Generously sea salt the beans and romaine. beautiful, right? Here’s the thing. Even if you are eating a “I’m too tired to cook and I have no food at my house anyway” dinner, you should still make it look pretty. We eat with our eyes before our mouths so if your food looks vibrant and yummy you will be more psyched about eating it. This is especially important when eating weird grilled salads that don’t make much sense. 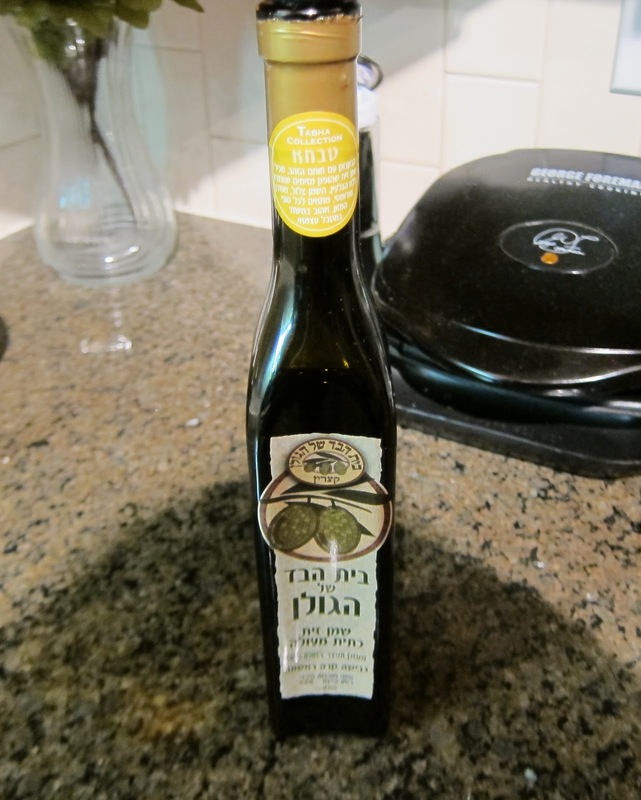 Oh, and if you are lucky enough to have someone who loves you enough to buy you fancy olive oil, this would be a great time to use it, just drizzle it over the romaine and beans.